According to a new study by Australia’s crowdfunded Climate Council, the sunburnt country could well become a world leader in home battery storage for solar power in coming years. The Climate Council report predicts that the cost of battery storage will drop considerably by 2018, making going “off-grid” cost-competitive with grid-sourced electricity. 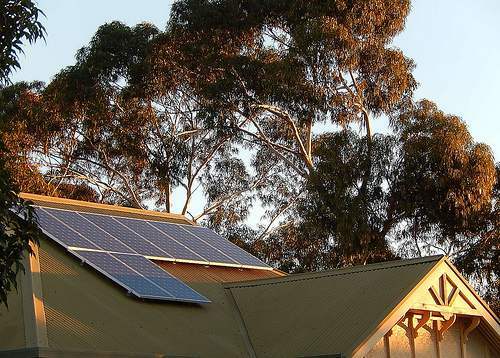 The Climate Council report predicts that half of all Australian households will eventually adopt battery storage for solar systems, with capacity growing 50-fold. As we’ve reported before, with well over a million solar panel systems already installed in Australia, leading makers of solar battery systems are starting to move into the promising Australian battery storage market. Tesla is partnering with local Reposit Power to launch the American company’s new Powerwall product by the end of the year. Enphase Energy will also be launching its home energy product in both Australia and New Zealand in 2016. The major benefit of battery storage for solar power is of course that households will be able to generate power during peak sun hours during the day, and then use that power during peak electricity usage, and peak grid price, hours in the evening.